If you use Chrome and have it set to save your passwords, you already have a repository of login details for the sites you frequently visit. It’s easy enough to access from your primary device in case you need to look up a password (load Settings > and find ‘Manage passwords’ in the advanced section) — but what if you’re not at your desk or can’t load Chrome for some reason? Google has a Passwords page that you can log in to from any browser with the account details you use to sign into Chrome. Once you’re in, you can see all your saved passwords for the sites you visit, along with an option to delete any of them. It isn’t exactly a brand new feature, but it seems like it isn’t widely known. If you’re apprehensive about letting Google store your passwords this way (anyone who gains access to your Google account could also find your other account details on this page), you have two options: either turn off password saving in Chrome or encrypt your browser data while syncing. 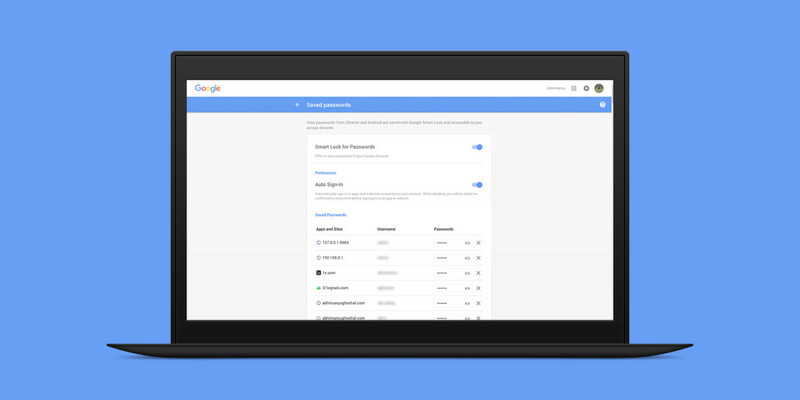 And you’re done — Google’s Passwords page will no longer display any account details. If you want to bring them back, open the advanced sync settings menu again and click ‘Use default settings’.